Easy with some slight elevation and climbing. I found Beaver River to be a beautiful place for a hike. 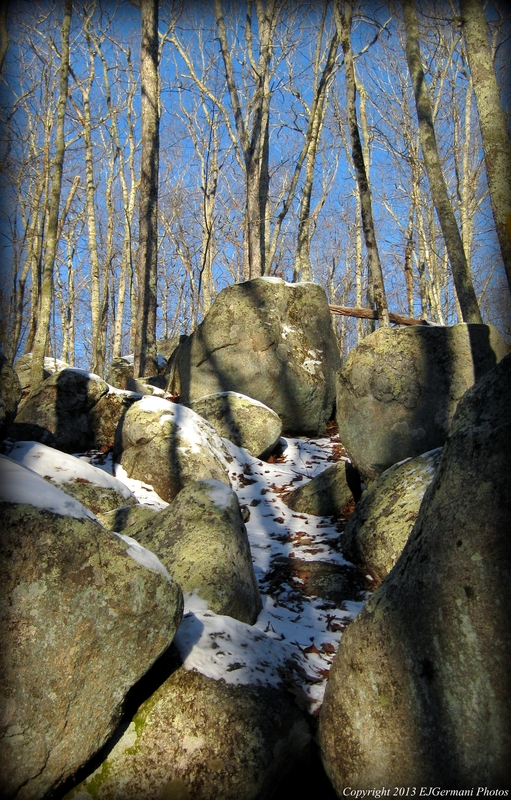 It is heavily wooded with many boulders. It was suggested to do this hike before the leaves were on the trees. A lot of the trails are along ridge lines of the hills which have great views of the valleys. I started this hike at the dead end section of Fox Ridge Drive and proceeded to follow the loop by first going to the left at the first intersection. This path went through many areas of boulders and then through a pine grove. At the next intersection a spur goes to the left which I took to get to the river. 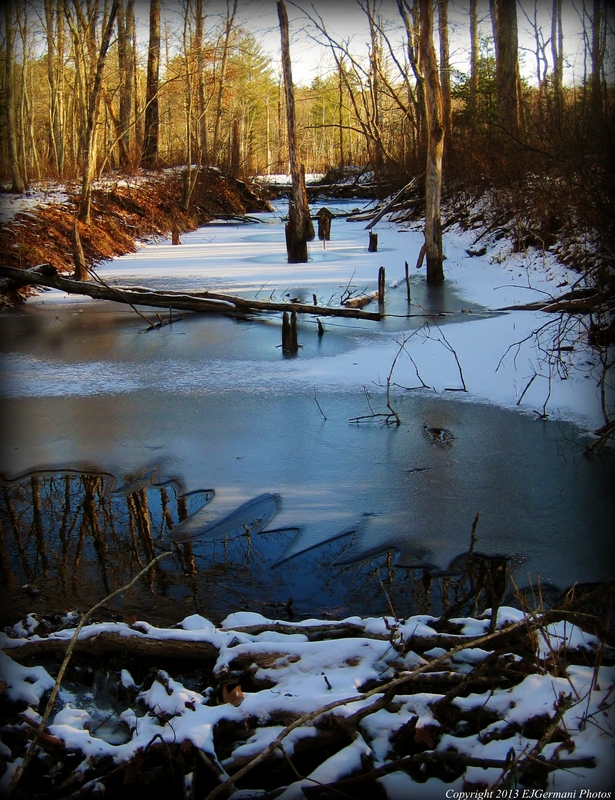 Beaver River itself had two beaver dams built in it and was quite iced over. Retracing my steps back to the beginning of the spur, I then took a left back onto the loop. At this point some climbing is necessary but not difficult. The trail eventually brings you back to the trail-head. There are several plank bridges along the paths and the entire trail is well marked with yellow blazes. I did not see any wildlife to speak on this hike. Maybe it was just too cold.